What started as Honda’s 50th year anniversary celebration quickly became an undeniable force to be reckoned with. The Honda S2000 was introduced in 2000, and while many think it was Honda’s attempt to compete with other roadsters, the S2K stood on a special stage of its own. Debuted as the successor of Honda’s S500, S600, and S800 roadsters, the S2000 exceeded all expectations. With the first generation rear-wheel drive F-Series 2.0-liter engine, the S2000’s pistons’ speed were able to move faster than almost any other production car in the world. Son Vo was no stranger to the legendary S2K, and after owning two of them before and racing Civics and Miatas on the track, he knew he needed to step up his game and return to the legendary AP1. His love for the iconic roadster started well before he torqued the nuts and bolts on that car, as he already owned an S2K shell that he was in the process of building. 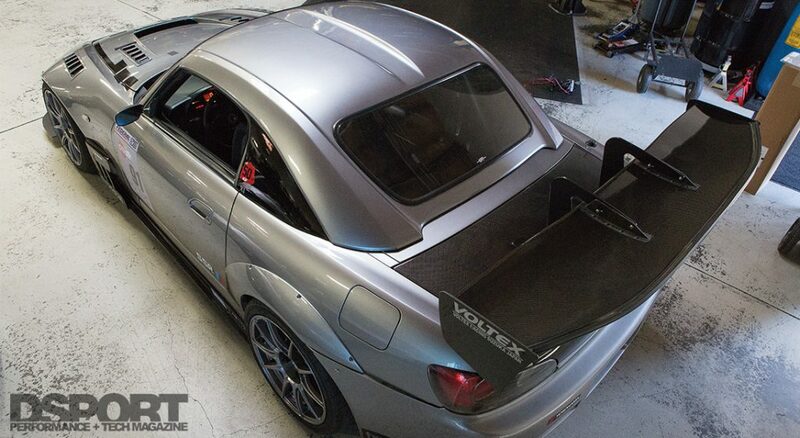 When Son Vo started helping his friend work on his S2000, his good deeds quickly paid off. Right as the thought of selling the S2K came to Vo’s friend’s mind, he was ready to write the check. Son sold the S2000 shell he was planning on building and purchased the more-ready S2000 from his friend. 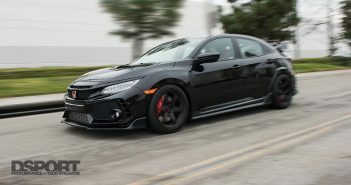 He took his new Honda and made the drive from San Jose to SoCal, where the car started shaping up to be his next companion on the race track. 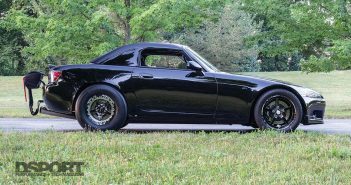 The S2000 came with a hefty list of modifications, including a pair of Bride seats and a Mugen hardtop; however, Son knew he had some work to do before taking it on its maiden voyage on the hot race track asphalt. His goal was to simply build a street and track car that can be comfortable enough as a daily-driver, yet handles well on the track. He wanted to go as fast as he can on the track with his street tires. 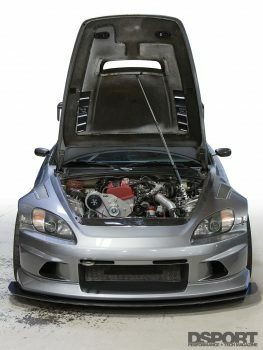 “The S2000 handled great out of the box and anything you do to it was to just make it a bit less work to go faster,” Vo said. Things didn’t go as planned, however, and the original F20 motor failed him twice – once when he miss-shifted a few times and had to rebuild the head, and the other time when a loss of coolant caused an overheated engine. This wasn’t going to stop Son. The road to a complete car was already mapped out in his head. Vo acquired an F22c motor from the owner of Trackspec Autosports. With the engine in his possession, all he had to do was swap the old F20 with the F22c and get the car running again. The 2.2-liter engine received an HKS Supercharger high boost kit. The Centrifugal Supercharger kit delivers smooth torque to the F22c, which makes it just the right match for the S2000’s long RPM range. Although engine builders have been known to get more power out of turbochargers, the HKS Supercharger makes good power at low to mid-range RPM, complementing the high revving engine. Son was given the right advice to change the fuel injectors so they can keep up with the supercharger, so he replaced the stock ones with ID1300x. The Injector Dynamics’ injectors are constructed from stainless internals, and they feed from a Walbro 255 fuel pump. The pump is capable of supporting more than 500 horsepower, and to keep the fuel flow even more consistent around the track, a Radium Surge tank was installed. The surge tank is designed to prevent fuel starvation, keeping the pump supplied with fuel as the vehicle tackles the twisting roads. To initiate the combustion process, a set of NGK BKR9EIX spark plugs were installed. The exhaust gases exit through a test pipe, which is a straight pipe that replaces the catalytic converter, and the gases continue to go through the EVS Tuning 70SSP muffler. Managing the engine is an AEM Infinity ECU. Finally, a KOYORAD radiator was installed to keep the engine cool under heavy driving conditions. The two-row, high density 36mm core allows for more coolant volume without increasing weight. 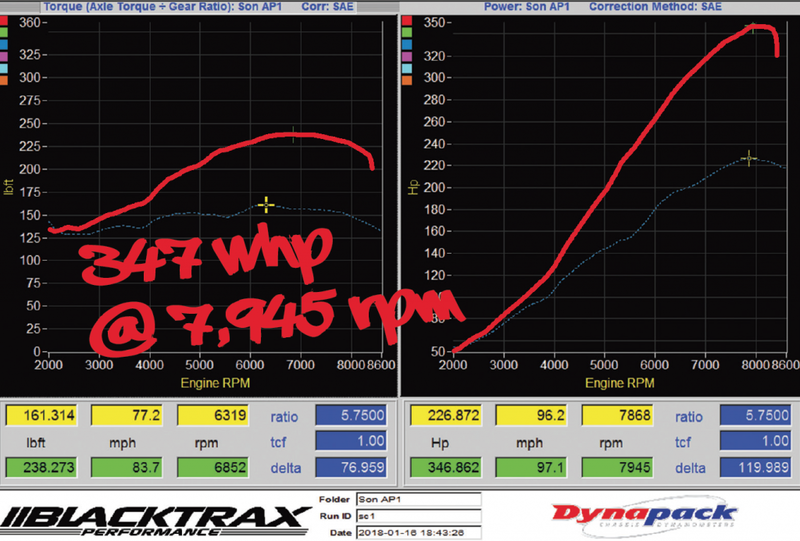 With the F22c modified and tuned, Vo gets 347 horsepower and 238 lb-ft of torque with 11.5 psi out of it. With the engine in place, some suspension and driveline upgrades had to be made in order for Son’s S2000 to be track-ready. Sitting only three-inches from the ground (measured from the front splitter), HKS Hipermax IV SP coilovers with 16kg-rated springs manage the car’s suspension. The gas-charged monotube damper is adjustable to fit various driving conditions. The set of shocks are 30-way adjustable, which made them the perfect choice for this particular project and Vo’s intentions for the car. In the interest of stiffening up the body to reduce body-roll during fast cornering, a set of Eibach sway bars were installed in the front and S2000 CR in the rear. To tighten up the car even further, a Whiteline subframe brace and a Cusco tie bar were also installed. 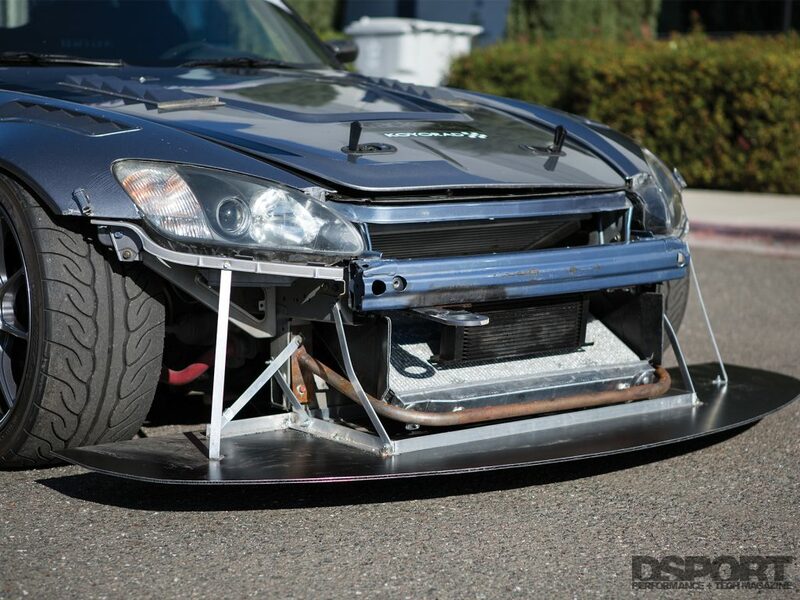 Due to the more rigid mounting, a front chassis-mounted splitter is more efficient than a bumper-mounted splitter, keeping the front-end more stable at high speeds. With the stock transmission in place, Vo installed an Exedy Hyper Single Series clutch. The Single Series is a great choice for performance cars with light modifications that don’t require a twin-plate clutch. The Exedy clutch comes with a chromoly steel flywheel, which improves engine response due to its light weight structure. The small driveline modifications tremendously help Son on the track without being an overkill or making the car a burden on the streets. Making contact with the road is a set of Yokohama AD08R 255/35R18 tires. 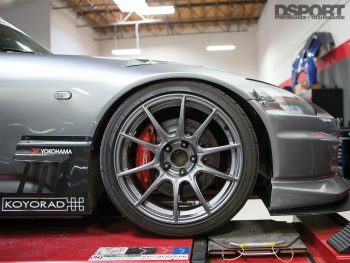 With the weather climate Son drives his S2000 in, the performance summer tires made for the perfect shoes for the car. They are constructed from carbon and micro silica compounds to increase both dry and wet grip, respectively. The tires wrap around a set of SSR GTX01 wheels size 18 x 9.5-inch with +40 off-set. For more control on the track, a set of StopTech BBK calipers were installed in the front, while the rear uses the stock calipers. A set of Project MU Club Racer brake pads work collaboratively with the calipers to clamp onto 328mm front rotors while the rear clamp on the stock 299.6mm rotors. The Club Racer pads are designed specifically for circuit driving, as they operate optimally on the rotors between 572°F to 1,472°F. With the engine, suspension, wheels and tires, and brakes set up for fun, the project was near completion with just a few aerodynamic and interior touches. The GARDIS III seat is perfect for racing, while still offering enough comfort for street-driving. It provides a generous amount of head protection to guard from side impacts, and a rigid shell for additional safety when needed. 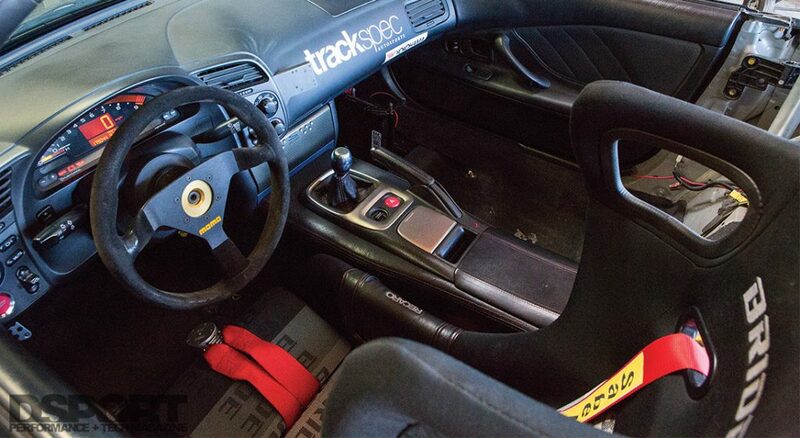 The inside of Vo’s S2K was built simply, yet efficiently for the long track days. With the Bride Gardis III and the Sabelt 6-point harnesses in place, he installed a Hard Dog single diagonal roll bar. The roll bar measures 1.75-inch in diameter, and although it limits the seats from reclining, it offers much-needed safety and rigidity. The car is piloted by a MOMO MOD78 suede steering wheel with a Lifeline quick release, and to add even more racing touches, an AiM Solo Lap Timer was introduced to the cabin. On the exterior, you can’t help but see the ASM style hood with the Zero Factory vents. The hood vents are as functional as they are aggressive-looking, as they maximize air flow to help the KOYORAD radiator keep the engine cool. In the interest of aerodynamics and downforce, a custom chassis-mount splitter, J’s Racing side skirts, and a Voltex Type 7 SN rear spoiler were installed. The front fenders were replaced with ASM style fenders with Zero Factory vents, and two ASM Overfenders replaced the rear ones. To help with weight reduction, Vo replaced the stock trunk with a VARIS carbon fiber trunk, and he kept the JDM vibe going with his JDM AP1 headlights. Finally, to finish off the exterior, he installed MP Racing side mirrors to go with the Mugen hardtop that was already on it. 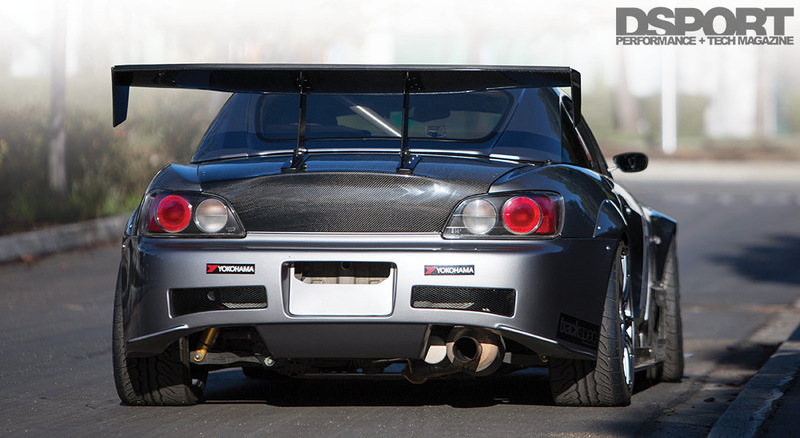 The exterior was finally done, and eye-catching and racing functionality were no longer issues for Son’s S2000. As of right now, you can see Son’s 2000 S2K racing at Buttonwillow Raceway Park as he competes in the GTA Superlap Battle. The car is exactly where he wants it to be, but the road hasn’t been all fun and games, and after the two engine failures, Son crashed in one of the last races he competed in. The wreck was anything but a discouragement, however, and within two months, the S2000 was repaired and ready for battle again. Aside from some future aerodynamic additions, Son Vo is rather satisfied with his build. After hundreds of hours and much more money invested in this build, the supercharged S2000 is living its best life.